Close-up. Arrested man handcuffed hands at the back. Businessman in office in handcuffs holding a bribe. Arrested man in handcuffs. In January 2018, a Denver grand jury indicted Monument, Colorado man Craig Walcott on tax evasion charges stemming from failure to file personal income tax returns. The defendant, both a landlord and the owner of a multi-level marketing company that sold nutritional supplements, pleaded guilty to the allegations against him in November 2018. Walcott is currently scheduled to be sentenced on February 25, 2019, at which point our Irvine criminal tax attorneys will circle back to this case with new sentencing updates. Until then, we present an account of his case as a cautionary tale for other taxpayers who might find themselves in a similar position. If for any reason you are concerned about the potential for an IRS criminal investigation into your personal or business activities, you should discuss your matter with an experienced tax fraud attorney as soon as possible for further guidance. Using an offshore or domestic voluntary disclosure, we may (in appropriate circumstances) be able to effectively remove the risk of criminal prosecution by raising the issue with the IRS before they come and knock on your door. According to the indictment (which can be viewed in full here), the IRS mailed a Notice of Deficiency to Walcott around April 8, 2010. The purpose of an IRS Notice of Deficiency, which is also known as a “90-day letter” (or, officially, Notice CP3219N), is to inform the taxpayer that he or she owes additional taxes, interest, and/or penalties. For example, the IRS might issue a Notice of Deficiency after conducting a civil tax audit. Each of these actions are individually highlighted in the indictment under the section “Count I” (26 U.S.C. § 7201 – Evasion of Income Tax) beginning on page three. The indictment also lists three additional counts of failure to file an individual income tax return, a violation of 26 U.S.C. § 7203 (pertaining to “willful failures to file returns, supply information, or pay tax”), for calendar years 2012, 2013, and 2014. It is not unusual for a taxpayer to receive a Notice of Deficiency that he or she disagrees with. The important part is to dispute the assessment properly, by engaging in appeals or tax litigation – not by attempting to go around the tax code. As this story illustrates, willful tax violations simply set the stage for further hassle and expense down the road, including the very serious risk of gaining a criminal record. If you have received a tax bill that you disagree with, or if you are worried about the potential for a criminal investigation, talk to an experienced IRS tax attorney about your options for proceeding. 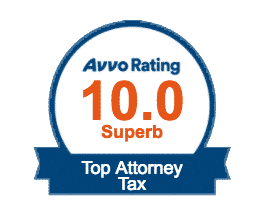 At the Tax Law Office of David W. Klasing, we are award-winning tax attorneys with decades of combined experience representing individuals and business entities in all types of civil and criminal tax proceedings throughout California. Whether you need IRS audit representation, aggressive tax fraud defense, or simply a trustworthy voice to help guide your future tax planning decisions, our team is here to provide comprehensive, around-the-clock support. Contact us online or call the Tax Law Office of David W. Klasing at (800) 681-1295 for a reduced-rate consultation today.